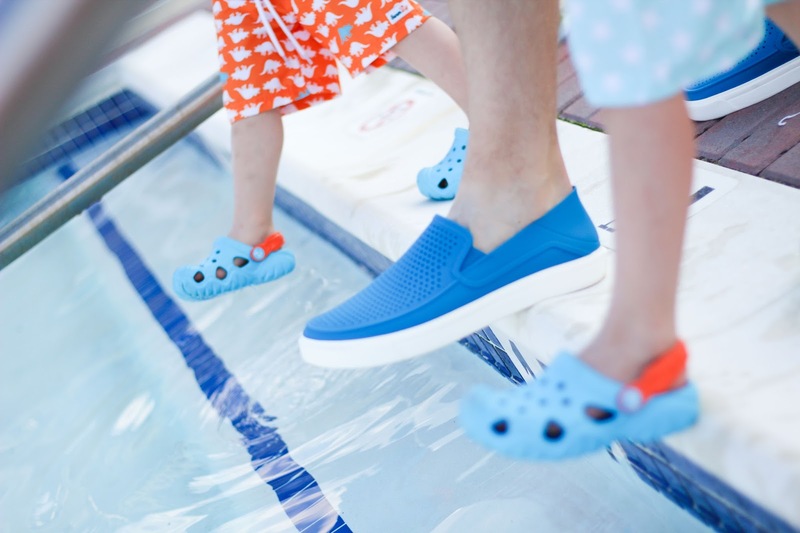 Today I am thrilled to be partnering with Crocs to share how we celebrated this very special Fathers Day this year. This Fathers Day was a little different than others. For the past couple weeks I was in Utah with my family helping out while my nephew was in the ICU. It was a stressful couple weeks with lots of tears, but it also made me appreciate my family so much more. The whole plane ride home the boys sprawled out trying to get comfortable, while I sat up trying to be the best “pillow” to them as possible. It was completely and utterly worth it though, when we landed and I saw my boys faces light up when they saw their daddy. Boy did we miss him dearly. I don’t post about him here often because he likes to stay out of the spotlight, but behind the scenes he is very much involved. Even with his hectic work schedule he still finds the time to take all of my photos, comes home early on nights I have events, and has supported me from day one. Not to mention he is an incredible dad to our two boys. He truly is a diamond in the rough, and I cant imagine a more perfect man for my boys and I. We are very lucky to have him. This Fathers Day I wanted to do something as a family and treat him to a relaxing day of fun. Our family loves the beach or anything involving water (as long as there are no sharks 😉 ) so we decided to have a bbq by the pool on Saturday to celebrate a little early. We had a big bbq with all of our friends planned for Sunday, so I made sure we had one full day of just us together as a family. It was a gorgeous sunny day, and the boys had a blast. 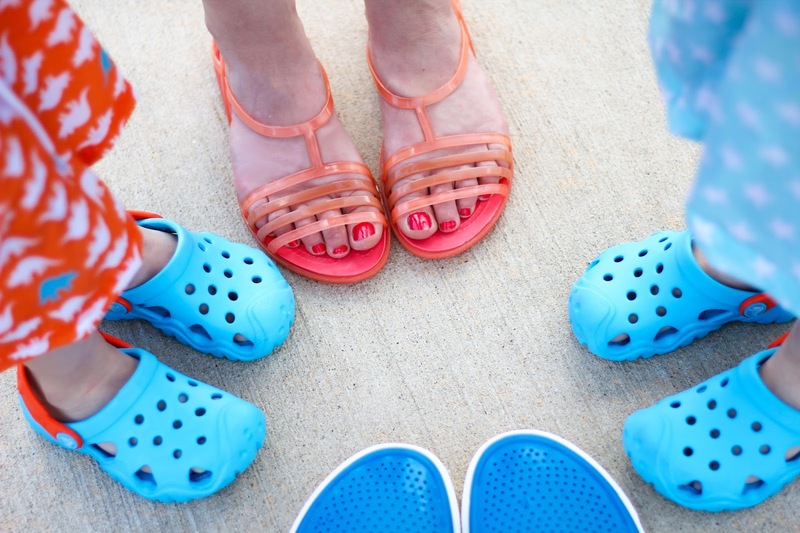 Their new crocs were perfect for the occasion, and I must say they all looked pretty darn cute with their matching blue shoes. 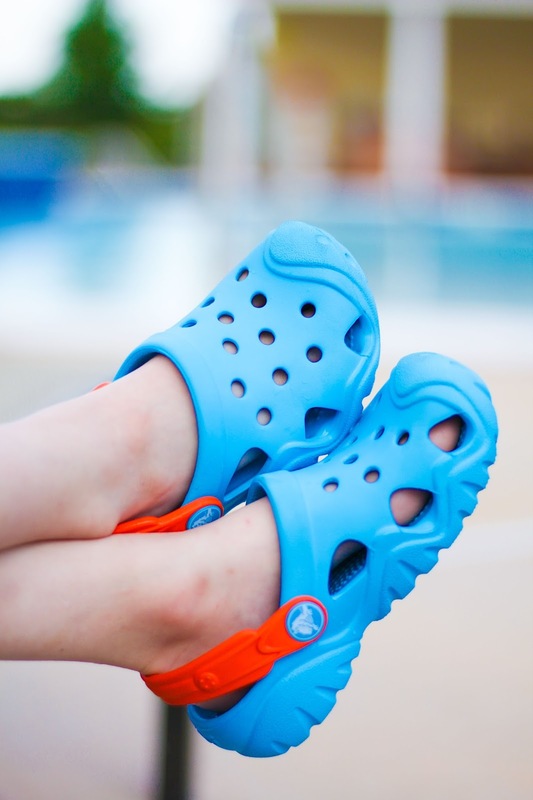 My husband was pleasantly surprised by how nice and comfortable his new shoes were, and loved the simple design perfect for hot summer days. 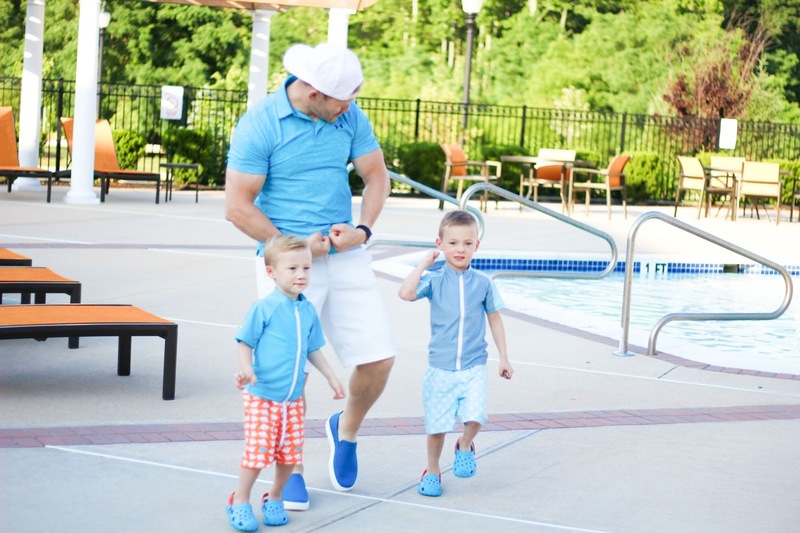 He was even able to jump in the water with them when the boys threw their matchbox cars in the water (whoops). 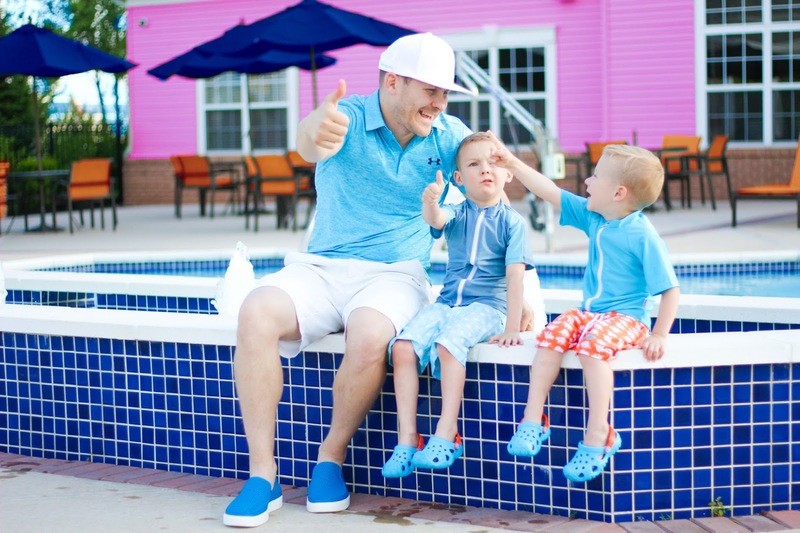 Now, what are your favorite Fathers Day traditions, and how did you celebrate the dads in your life? Leave me a comment below, I’m always looking for new ideas. Thanks for the fun pictures of the boys and their dad and you, too ! Love you blogs. A best article I got over here. This is astonishing with great information. But here I want to critique one thing that it is not rightly organize for readers, however it reveals great information. We’re here to let you understand the thinking describe in this article. is the assignment writing company in Pakistan. Furthermore, it maintains the accessibility and promotional activities to understand the thinking of ideas and notions. I want to share it on for great likes and promotions.